"Remember the Past, Embrace the Present, Enhance the Future"
5 days prior to arrival, the hotel will place a temporary hold of 1 night’s room and tax on the credit card on file in order to guarantee the reservation for arrival. There is a $50 per person, per day, for incidentals. If a guest would like to pay for their room prior to their arrival, they may submit payment online through the hotel’s secure payment website: https://book.b4checkin.com/erogatio/default.aspx?prop=rosenCentre. Please select Reservation under Payment type and follow the prompts to submit payment directly to the individual reservation. Please be aware of potential unauthorized third parties approaching National Dental Association exhibitors and attendees with fraudulent offerings of hotel rooms at significant discounts. Lured by highly attractive rates, exhibitors and attendees fall prey to these impostors, losing significant deposits, discovering hidden costs and up-front charges or being bait-and-switched to hotel rooms they never booked. Of course, these companies are in no way affiliated with National Dental Association, or the official hotel: The Rosen Centre Hotel. They troll the internet and association web sites looking for annual events and then gain access to email addresses for direct contact or draw attendees to their web sites posing as a National Dental Association-sanctioned housing provider. Do not give them your credit card information! National Dental Association has created a specialty link for all exhibitors and attendees to utilize when making reservations. or call 1-800-204-7234 and reference NDA. 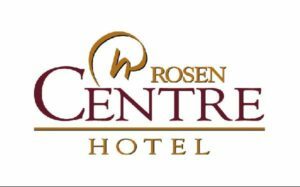 **** PLEASE Specify with Agent ROSEN CENTRE HOTEL****there are three (3) Rosen properties in Orlando. We have a group rate at Rosen Centre Hotel. Booking through the link or via phone with central reservations directly, ensures you will be working with hotel, that your credit card information is secure, and that you will benefit from all services provided to conference attendees. If you are contacted by anyone asking if you need a room reservation for the National Dental Association, or if they represent themselves as a National Dental Association housing provider, please get as much information as you can, then contact National Dental Association representatives at cgraddy@ndaonline.org or call the toll-free phone number, 877-329-7973.